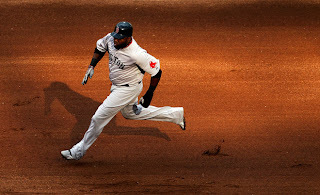 Big Papi went 2-5 with an RBI and 2 Runs in his return to the Boston line-up as the Red Sox routed the Rangers 13-2 Wednesday night. The Boston Red Sox regained the lead in the AL East as the New York Yankees lost to the Oakland Athletics 6-4 in 10 innings. This was Ortiz's first action in two weeks.